We don’t normally do headphone reviews, because well, we’re not a headphone site. We allow the real audio blogs to take care of that stuff, while we as Android enthusiasts, stick to what we do best. With that said, when Motorola asked if we would be interested in checking out their new wireless Bluetooth headphones, the S11-Flex HD, I couldn’t help but give them a shot. Since I know there is a small crew of you that also picked up their MotoActv sports watch, I figured you would also be interested in these headphones, which are their latest sweat-proof fitness product that can pair with any Android device on the planet. 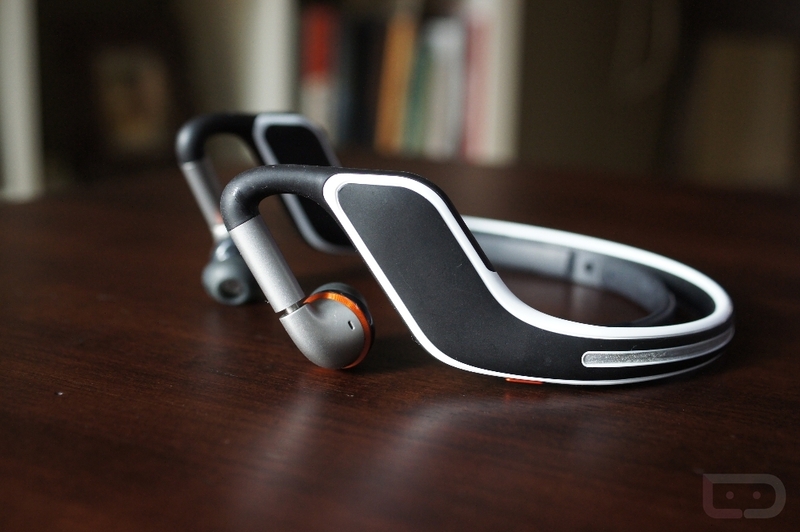 Motorola’s S11-Flex HD headphones connect wirelessly to devices using Bluetooth 3.0. You could connect to a phone, tablet or computer, and then walk away from it up to 150 feet without it disconnecting. The headphones have a multi-function button (switching tracks, changing settings, taking calls, etc. ), a power button, and a volume rocker. There are also dual-mics to help with clarity during calls. Once fully charged, you can get 6 hours of music playback, 7 hours of talk time, or up to 6 days on standby. The headphones weigh 54g, have customizable EQ settings, are sweat-proof, and have five points of adjustability, so that you can find the perfect fit. It’s obvious that one of Motorola’s goals with the S11-Flex HD was to make sure that it fit everyone’s head, no matter the shape or size. The “flex” in the name isn’t an exaggeration as these headphones can be bent in all sorts of directions. 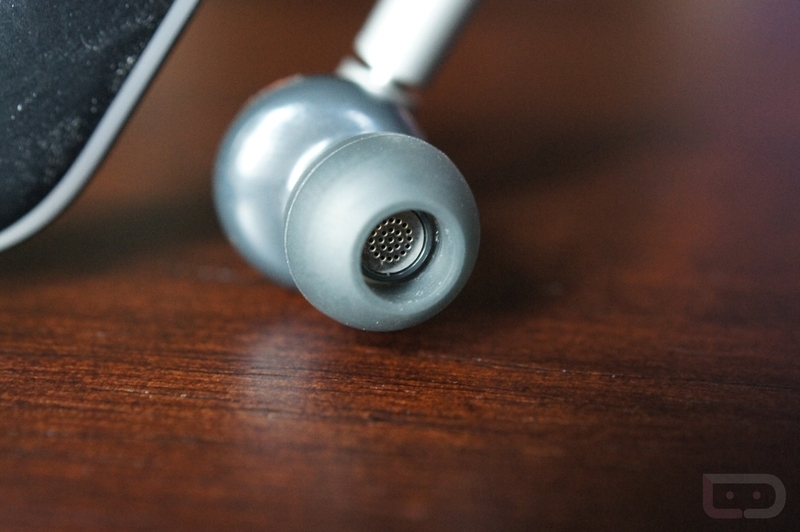 The metal fixtures around the earbuds also adjust up or down, there is an inner band that can tighten them against your head, and the handful of earbud tips should give everyone an option. The overall look of the S11-Flex HDs isn’t bad. I was a little embarrassed at first to put these on and walk out of my house for a run, but once I fully realized that there wasn’t a cord dangling around any longer during my training, I decided that it was OK to sacrifice fashion for form in this case. They definitely look “sporty,” if you will. I’m normally a pretty minimal kind of guy and avoid the flashy oranges, but again, once you get used to these and realize how great cordless running or working out is, you’ll be able to survive. Ahhh yes, sound. Since I’m not an audiophile or a headphone guru, I’ll try to keep this simple (or in my terms). Overall, the sound is solid. To tell you the truth, I was expecting worse and came away slightly impressed, especially for a wireless Bluetooth product. It’s not overly weak in any area, other than bass, but these aren’t top-of-the-line over-ear headphones we’re talking about here. I’d argue that they sound much better than most average wired earbuds. They have some “customizable” EQ settings that allow for a bass boost, balanced mode, super treble, vocalizer, or EQ-off. The treble mode, to me, sounds the clearest, bringing the right balance without sounding too empty or flat. When taking calls, a simple press of the multi-function button answers and hangs up. On my end, things sounded as good as any other Bluetooth headset that I’ve used. Folks on the other end were quick to point out that I sounded like I was talking to them through speakerphone, though. There are dual-mics, but as with most Bluetooth calling, it’s not going to be as good as if you picked up your phone and talked directly through it. Setup doesn’t get any easier than it is through the S11-Flex HDs. Turn them on and they start scanning for Bluetooth devices to pair with. Toggle Bluetooth “On” on your phone and it finds it almost immediately. The multi-function button does quite a bit. You can answer or end calls, change tracks (forward and back), or switch EQ settings. Battery life, has been pretty phenomenal in my testing. Out of the box, I got a solid 5.5 hours of streaming music. Also, these headphones “rapid charge,” which means in 5 minutes on the plug, you can get an hour of charge. In 15 minutes, you can get up to 3 hours of use. That’s pretty incredible. Last, these suckers are sweat-proof. I’ve put them through 40 miles of runs over the last couple of weeks and they haven’t had any issues. 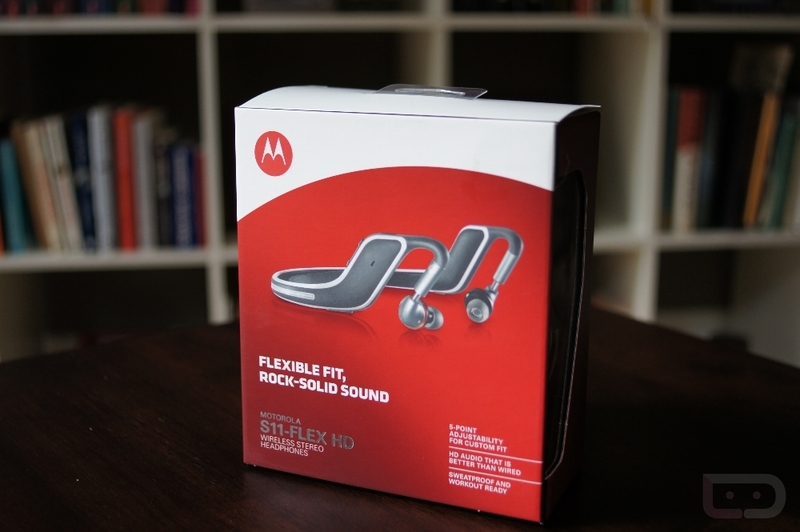 The Motorola S11-Flex HD headphones are a great product for fitness fanatics, especially runners, like myself. At $129, they certainly aren’t going to fit everyone’s budget, though. The adjustability, feature set (taking both audio and calls), battery life (including rapid charge), and sweat-proof-ness (that a word? ), have made them a pleasure to use over the last couple of weeks. With that said, audiophiles or headphone snobs probably won’t be impressed by the sound, but I’m guessing they aren’t the target market anyway. So as I mentioned, fitness gurus, I’d recommend you check these out if you have yet to take the cordless plunge – that is, if you have $130 to shell out for headphones.